The logistics industry typically demands the mobilisation of resources at very short notice anywhere in the world. What makes any execution of a project successful is the detailed planning and the in-depth understanding of the project scope. In the dynamic industry of oil and gas, Logistics Service Providers (LSPs) handle many different types of shipments and projects. A logistics company would then offer specialised services for suppliers/buyers of large industrial goods, heavy and out of gauge and over dimensional equipment and modules. Many of the more typical shipments are deemed regular type shipments, but many are deemed large and out of the ordinary. Below is an outline of a typical large shipment/project process. Once a particular company is awarded the project, a team is chosen with the most experience in this type of project, including those who have worked on the tender and have knowledge and understanding of the requirements. This includes experts as well as local representation from all relevant stakeholders. A global and local Standard Operating Procedure (SOP) and Service Level Agreement (SLA) are drawn up in consultation with the client. These are then agreed to and signed off before the commencement of the project. Most of the time the complete information is unavailable to any of the stakeholders at the beginning of the project, even to the client. As the project progresses, further information becomes available. This often requires changes, sometimes even drastic changes to the project plan – this is all part of the role of the project management team which efficiently manages all changing requirements as the project evolves. The management of these unforseen circumstances is critical to the success of the project. Regular project meetings are scheduled with all relative stakeholders, including Carriers, SARS, TNPA/Transnet, ACSA and many others. It is essential to team up with the correct partners who understand the pressure, risks and processes and have adequate resources at their disposal. Is the cargo being moved sensitively and subject to special handling? Is it secondhand or new, hazardous, radioactive, flammable, environmentally unfriendly, sensitive or of high value? The company would need this information for each piece of cargo to plan the relevant modes of transport and equipment required, such as container types, out-of-gauge/break-bulk solutions, cranes and heavy lift vehicles in order to minimise on cost, time and efficiency. One needs a good understanding of the commodity, the weights, dimensions and number of pieces. When is the cargo available and when is it required on site? Planning and routing may involve multiple modes of transport and typically we find that on most projects we are using at least three to four modes of transport. In some cases these are not always straight forward. For example one project may include commercial carriers, charters and barging operations. All these transport modes need to be managed and the integrated movements of the cargo need to be co-ordinated so that the goods move seamlessly through the supply chain. 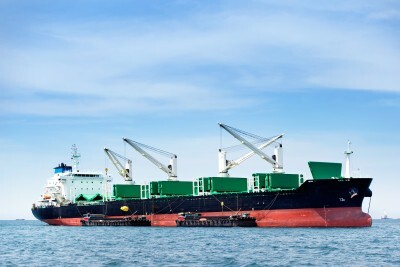 Communication is key to achieving the desired result.Transhipping of cargo may become a requirement due to carrier routing schedules or ship capacity limitations. In order to facilitate this process, cargo may need to be unpacked, stored, handled, inspected and repacked, prior to the next leg of the journey. improve understanding of these limitations and to recommend an appropriate solution. Special permits, escorts, road closures, temporary removal of overhead lines, even strengthening of roads, may be necessary. This can become a huge obstacle for any project if not managed and understood correctly. It is important to ascertain whether cargo is to be temporarily or permanently imported/exported as countries have different rules and regulations. It is also essential to have a good understanding of country specific customs legislation and local laws and policies of the countries through which the cargo may have to move. Working with a well-established and trusted partner in a foreign country is a major advantage in understanding the requirements of the country concerned. 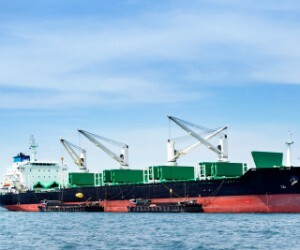 It assists in being able to move the cargo in bond, negating the outlay of possible duties and taxes on high value commodities and minimises foreign disbursements with resultant positive project cash flow. The duration of projects varies dramatically, some spanning a few months while others can take up to a few years. Without correct planning, the difference of shipping one day to the next can seriously affect costs. A major consideration is the fluctuation in forex. Insurance is a vital component of the project and having the correct insurer and underwriter on-board through the entire process is important. When dealing with project type cargo, the solutions are ‘out of the box’ and may increase the risk. Bringing the insurers into project planning meetings so that they have a clear understanding of what has and is going to be planned is advantageous in obtaining the correct cover at the right price. The insurance providers usually issue a list of concerns and limitations based on the assessed risk. This can be seen negatively but is an advantage to the project, as providing an additional view point on the project risk assists in ongoing management. BPL customises solutions around the unique needs of clients while adhering to and conducting business in full compliance with all applicable legal and regulatory requirements.